In support of the College’s new strategic priorities and vision, the Development and Community Relations office exists to engage effectively with its stakeholders and to build on philanthropic income to the School. 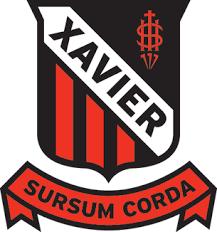 Xavier College now seeks an Associate Director, Fundraising who, reporting to the Director, Development & Community Relations, will be responsible for the implementation of the Fundraising Plan, identifying major gift prospects and developing strategies that encourage philanthropic support of the school. The incumbent will also have oversight of the bequest and annual giving programs. To be successful in this role you will demonstrate a track record in the cultivation and solicitation of major gifts, and will have knowledge of fundraising methodology as it pertains to bequest and annual giving programs. The ability to develop, cultivate and maintain professional relationships with staff, alumni and parents will be integral. The successful candidate will have an understanding of and appreciation for Xavier College, its ethos, values and education in the Catholic tradition. For 140 years, Xavier College, within a spirit of excellence in education, has challenged its students to pursue their best, make a contribution and unlock their every potential. Xavier offers a nurturing space, valuing inclusiveness and teamwork, in which students strive to discern and realise their gifts and to foster a passion for life and learning. With the recent appointment of a new Principal, a new Strategic Plan and Master Plan for the School to be put in place, Xavier College is poised to build a renewed vision for its future. Please quote in application: Associate Director, Fundraising via Pro Bono Australia.